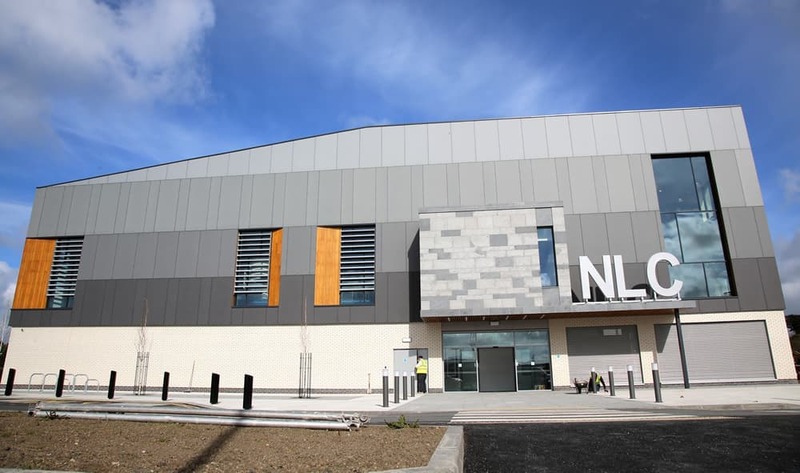 Newry Leisure Centre was developed as a two–phase design and build concept owing to site and budget constraints and is the first two–phase leisure centre of its type (in terms of scale and complexity) to be built in Northern Ireland. 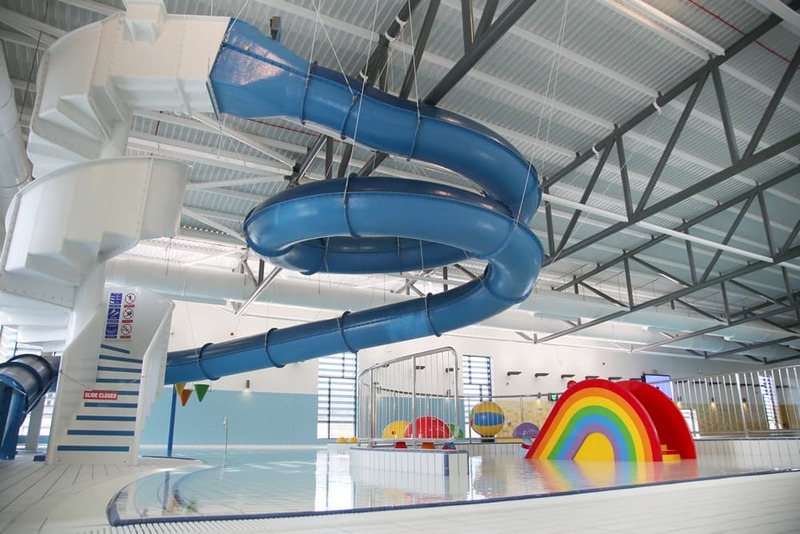 It offers a wide range of enhanced facilities for the local community and is accredited by Disability Sports Northern Ireland’s as an Inclusive Sports Facility. 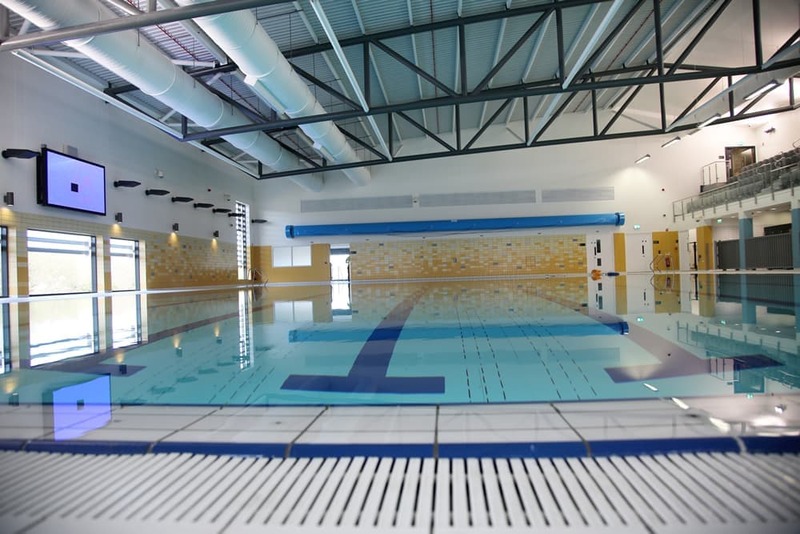 It also promotes high levels of energy efficiency using enhanced building fabric, solar hot water panels and rainwater harvesting. 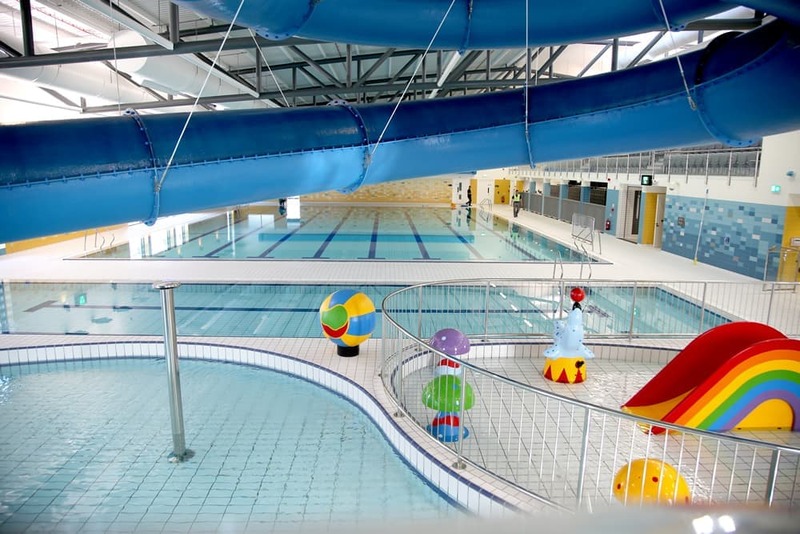 Phase 1 of Newry Leisure Centre opened in April 2015 and introduced stunning new facilities to the area including an 8-lane short course competition standard swimming pool with moving floor, a combined learner and leisure pool with flume, Olympic standard pool hall spectator seating and a thermal area with sauna, steam and hydrology pool. We appointed an independent Services Co-ordinator and Commissioning Manager prior to works commencing. A programme was prepared for validating testing and commissioning of the many (and complex) services and regular commissioning meetings held. 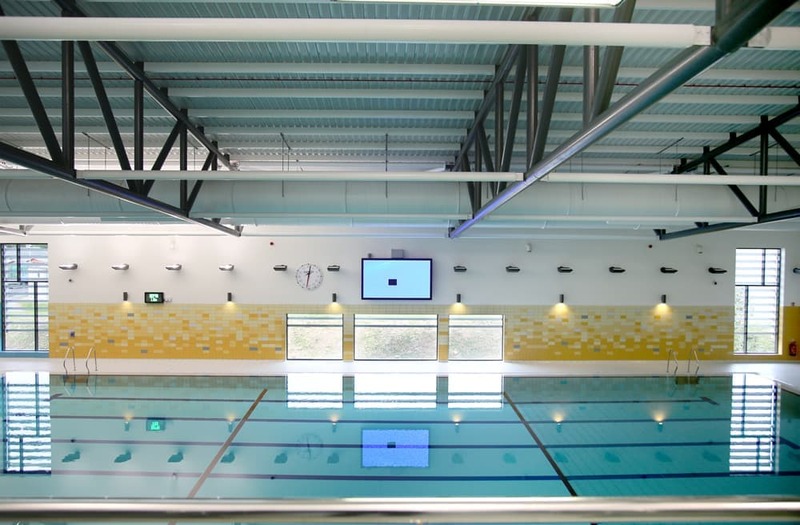 BIM princples were used to co-ordinate and install the building services which included routing a network of ventilation ductwork for changing areas through castellated steel beams within the service voids. 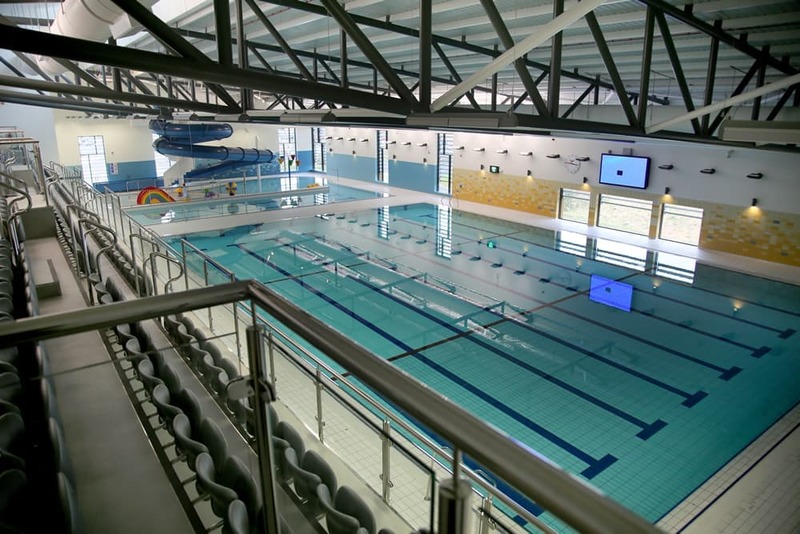 Phase 2 was constructed adjoining the existing swimming pool which remained operational throughout. 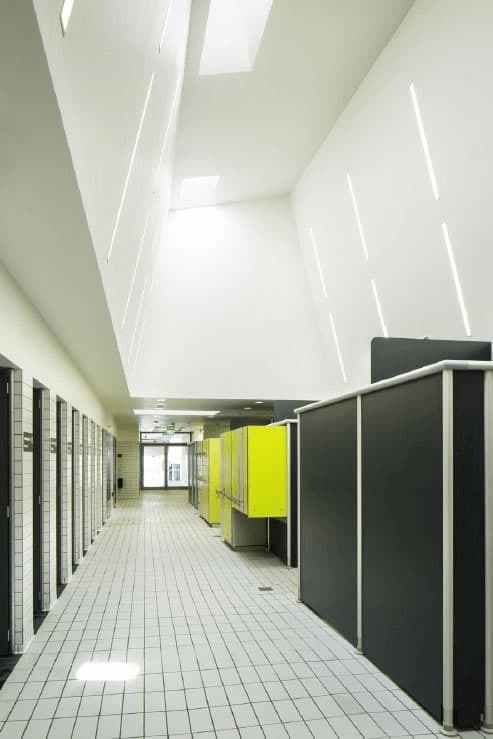 Various break-throughs and interfaces to existing systems were planned and co-ordinated outside of normal opening hours to minimise disruption. The site was registered with the Considerate Constructors Scheme and we liaised with the local community and parishioners on a regular basis to advise on progress.